At 4,810m (15,781ft), Mont Blanc is the highest peak in Western Europe, sat between Haut-Savoie, France, and Aosta in Italy. Despite involving no technical climbing, it’s an undertaking that should not be approached lightly: it requires fitness, acclimatisation and glacier travel skills (including crevasse rescue techniques). The right boots can be the difference between success and failure, and normal winter walking boots aren't good enough for Mont Blanc. If you are doing the trip with a guide or through a guiding company, find out if they have any minimum requirements for boots. As a minimum, you’ll need to consider general mountaineering boots, but a number of guides prefer people to choose warmer, stiffer options (temperatures on Mont Blanc can get below -20°C, especially in the early mornings). 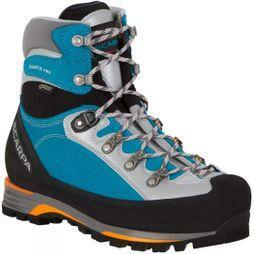 Visit us in-store and get fitted for mountaineering boots by one of our experts. We have an extensive range and a variety of additional boot fitting techniques, including custom footbeds, to make sure you get the perfect fit. Technical socks are (almost) as important as the boots! Make sure you take the socks you plan to wear to your boot fitting, to ensure the two fit well together and there are no uncomfortable points. Take at least 3 pairs of each and try not to use them for more than two days to reduce odour and the risk of abrasion/blisters. 12-point general mountaineering crampons are ideal. The best crampon is the one that fits your boot the best! This depends on whether or not your boots have an integral gaiter. Ideally you want ones with a Velcro-only closing system (having a zip can be fiddly). Make sure that the gaiters fit over the boots as securely as possible. It may sound counterintuitive. but a common mistake to wear either too many layers, or clothing that is too warm. The result is getting hot and sweaty, faffing around removing layers and an unhappy guide (who might punish you by setting an even brisker pace). Speed and efficiency are both key to safety in this environment. This is the layer next to your skin. 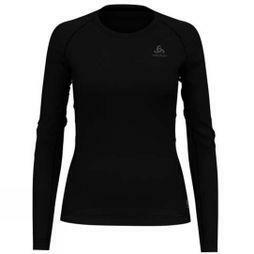 Base layers help to move sweat away from the skin and provide warmth. Something quick-drying and light is essential here. If you really feel the cold, a 'furry' fleece will be a great option. This is a great alternative to a fleece which provides wind and water resistance. Ideal for early morning alpine starts before the sun begins to warm things up. Weight and durability are important factors when choosing a softshell jacket. As a general guideline, anything with a membrane will be less breathable but provide better weather resistance than most jackets without a membrane. 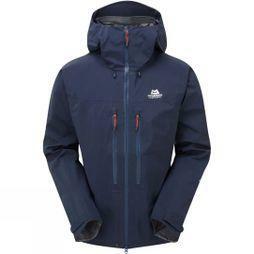 The ideal alpine waterproof is as lightweight and as breathable as you can afford. The hood should fit over a helmet, the hem and cuffs should not ride up, and the pockets should not be blocked by a harness or backpack hip belt. Overall, the jacket should be a fairly close fit with enough room to wear a base layer and extra layer, with no tightness across the back or in the armpits. Tip: Raise your arms to test for rise/cuff drop and hunch your back to test the fit. Your insulated jacket keeps you warm when you’re not moving. A fairly common mistake is assuming that an insulating jacket needs to fit underneath a waterproof. Instead, put it over the top of your shell when you stop moving so you don’t lose heat by taking off your shell. There are two types of insulation to choose from: down and synthetic insulation. For an alpine summer, a lightweight down jacket is normally fine. The higher the down quality, the lighter and more expensive the jacket. It’s possible to get hydrophobic down too, which resists water. Down jackets have a better weight-to-warmth ratio and pack smaller, but they’re more expensive than artificial insulation. 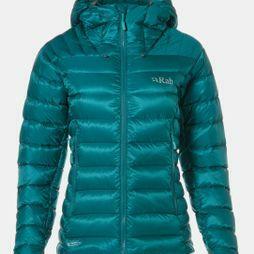 Synthetic insulated jackets are normally lower-priced than down jackets, however they’re often heavier and larger than a high-quality, equivalent-warmth down jacket. There is no perfect glove system that works for everyone. 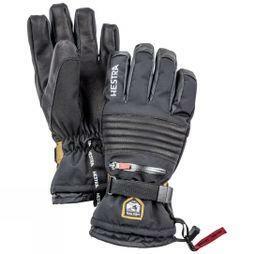 Light or medium liner gloves or fleece gloves are necessary, and softshell or leather gloves are a great addition. They are wind/weather resistant, reasonably breathable and more dexterous than heavy gloves, but not as warm. You will still need warmer gloves or warm mitts, just in case. A lightweight, low volume wool or fleece beanie is essential. Make sure it fits comfortably under a helmet. A Buff or wool neck warmer can serve as sun protection and insulation and can be used with a beanie/balaclava. This is just as important as a warm hat! Even if it’s cloudy, sunburn can be a problem. A broad brimmed hat is preferable to a peak hat, unless it’s the style that has a flap covering the neck. The best option is category 4 sunglasses. Ensure they fit well and let in as little light as possible. The higher you go, the more intense the light becomes due to snow reflecting sunlight. 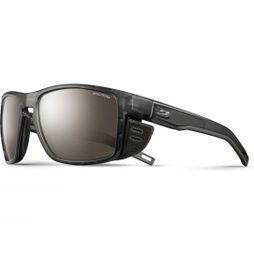 Julbo do a great range of glacier glasses at varying prices, depending on the lens. Tip: Take your normal sunglasses as a spare pair! Goggles are a ‘just in case’ bit of kit. If you do get caught out by strong winds, you’ll be glad you have them. It’s surprising how painful the elements can be when the wind’s howling! Choose orange or yellow lenses for low light conditions. PLEASE NOTE: This kit list has been written with non-technical ascents in mind (like the Gouter route) and for those who will be either using a guide or at least the huts. Part 2 of our Mont Blanc kit list, covering the equipment you'll need on the White Mountain. Whether you’re escaping to a National Park for a weekend of hillwalking and camping or going for a day’s rambling in the countryside, you’ll need more than a map and compass to comfortably and safely enjoy Britain’s remote and rugged landscapes. Rory McCrea from Snow+Rock Covent Garden lists the essential kit you should have in your pack before heading for the hills.